Wedged between Vermont and Maine is a small New England state with a fiercely independent spirit. If “have more adventures” tops your list of resolutions for 2019, look no further than New Hampshire, where the only limit to how much fun you can have outdoors is how much time you can spare for your getaway. 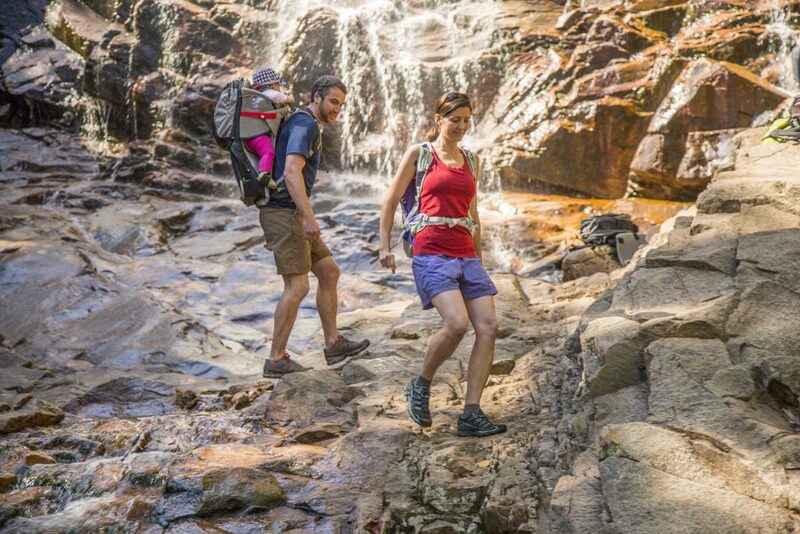 From the White Mountains to the Atlantic seacoast, here are our picks for the best ways to let loose and “live free” in the Granite State all year long. The White Mountains, a range of the northern Appalachians, cover about a quarter of New Hampshire’s land mass and contain the highest peaks in the northeastern United States, making the state a premium destination for skiers and snowboarders of all ages and abilities. If you’re just starting out, Pats Peak in Henniker at the southern end of the range offers a comprehensive Learn-to-Ski program and a wide variety of easy trails to practice on. 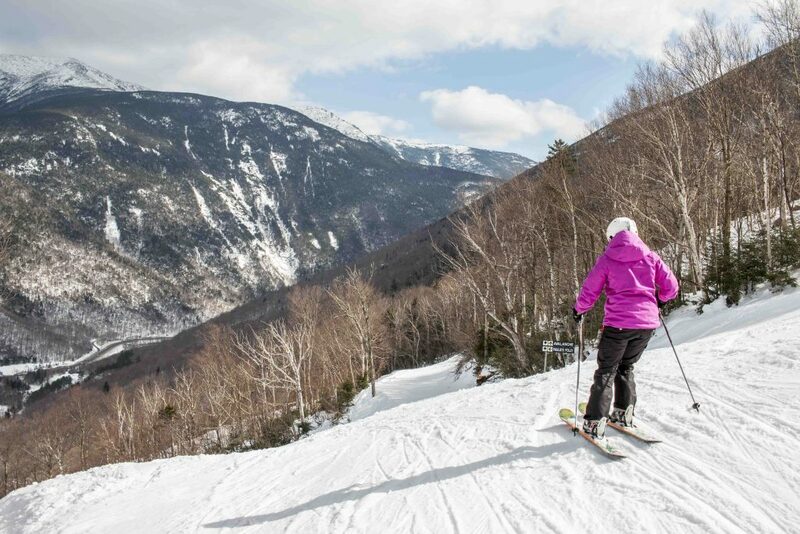 For some of the most scenic skiing around, plan a trip to Wildcat Mountain in Pinkham Notch, in the heart of the “Presidential Range.” This group of summits, named for American Presidents, includes the notoriously stormy Mount Washington. Thanks to its elevation, the area regularly receives dumps of fresh powder sure to satisfy experienced big mountain skiers. Wildcat also boasts the state’s longest novice run, Polecat — a full 4.4 kilometres from summit to base. Of course, not all skiing in New Hampshire has to be done at heights; Nordic skiing has a rich history in the state as well. The Jackson Ski Touring Foundation maintains more than 150 kilometres of groomed and backcountry trails around and through the picture-perfect New England village of Jackson. Throughout the area, charming country inns offer skiers the chance to rest and revive with a fine meal or spa treatment after a day of winter exploration. Winter is also a great time to challenge yourself with a hike. One of the most popular winter day hikes is the Mount Major loop in Alton. A short hike up through Mount Major State Forest leads to a breathtaking vista over New Hampshire’s largest lake, Lake Winnipesaukee. On the trail, keep an eye out for glacial erratics — large boulders deposited here at the end of the last Ice Age. Looking to get into backcountry hiking? 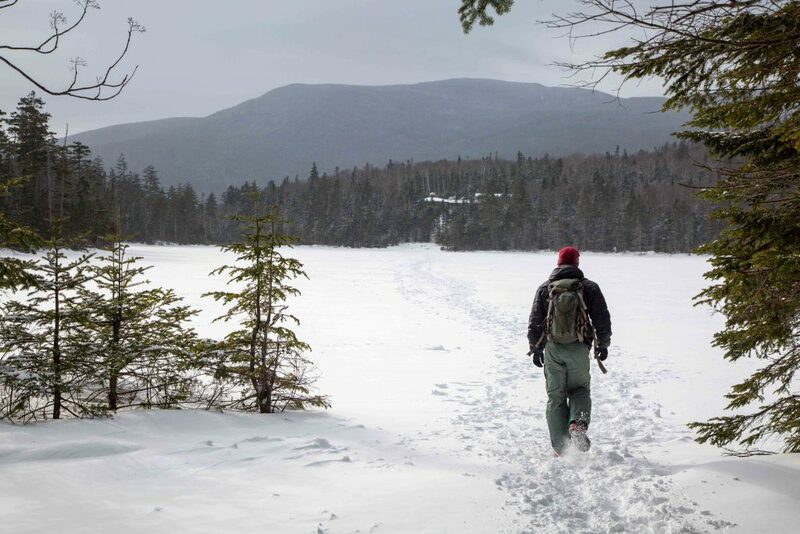 Plan an overnight at the Appalachian Mountain Club’s Lonesome Lake Hut (self-service from late October to late May). A two-hour hike from the highway (map) ends at a glacial tarn with views of the snow-dusted Franconia Ridge. Remember: Before setting out on any winter hike, be sure to check the weather forecast and dress/pack appropriately. As the weather warms, all that mountain snow needs somewhere to go. Rivers roar to new life, making late spring the ideal time for an exciting whitewater experience. 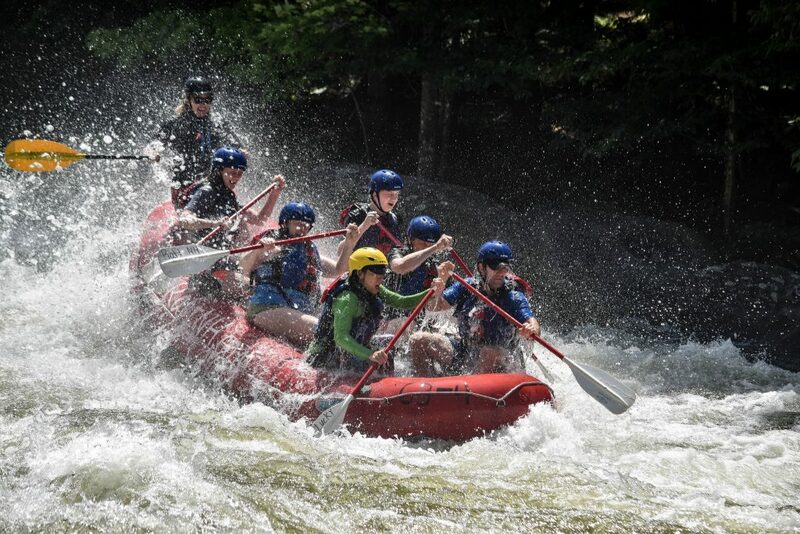 Starting in June, North Woods Rafting at Mahoosuc Outdoors offers guided rafting trips on Class II/III rapids on the Androscoggin River. Best of all? The experience ends with a delicious barbecue at Mahoosuc’s rustic barn overlooking the horse pastures and Mahoosuc Range. Kayaks, canoes and tubes are also available to rent for those who simply want to enjoy a relaxing float on the river. Mountains plus melting snow also equal waterfalls — lots of waterfalls. There are at least 10 accessible by trail in Crawford Notch State Park alone. How many you can get to in a single day is up to you! Stretch your waterfall adventure out over a weekend by booking a campsite at Dry River Campground. Did you know New Hampshire has an Atlantic coastline? Just 29 kilometres long, it’s the shortest ocean coastline in the United States, but there’s plenty of saltwater fun to be had in the area. Base in the seaside town of Rye for easy access to the state’s most beautiful beaches. If you’re looking to try a new activity on the water this year, Summer Sessions Surf Shop at Jenness Beach State Park offers surf and stand up paddle lessons for adults and kids, as well as equipment rentals so you can practice on your own. The knowledgeable instructors guarantee you’ll be up and riding the waves before the day is out. Northwest of Rye lies New Hampshire’s “hidden coast:” the Great Bay National Estuarine Research Reserve. Strong tidal currents push seawater from the Gulf of Maine some 24 kilometres inland, where it meets freshwater from seven different rivers. This network of salt marshes, islands and muddy tidal flats provides habitat for a huge variety of wildlife. Wander the boardwalks or take a guided kayak tour with a trained naturalist and keep an eye out (and your camera at the ready) for muskrat, white-tail deer, chipmunks, mink, otters, red foxes, and cottontail rabbits. As the weather turns chill, dozens of bird species use the estuary as a stopover on their annual southward migration, making this a birder’s paradise as well. Of course, summer adventure abounds in the mountains, too, with opportunities for mountain biking, kayaking and hiking around every bend in the highway. But for the ultimate thrill — and the best views — consider a ziplining experience. The Bretton Woods Canopy Tour at Omni Mount Washington Resort is a nature walk the likes of which you’ve never encountered before — a three-hour guided odyssey on a network of sky bridges suspended in the ancient hemlocks high above the forest floor, with nine ziplines and three rappels to get your heart racing. Tip: this year-round activity is at its most spectacular during peak fall colours. 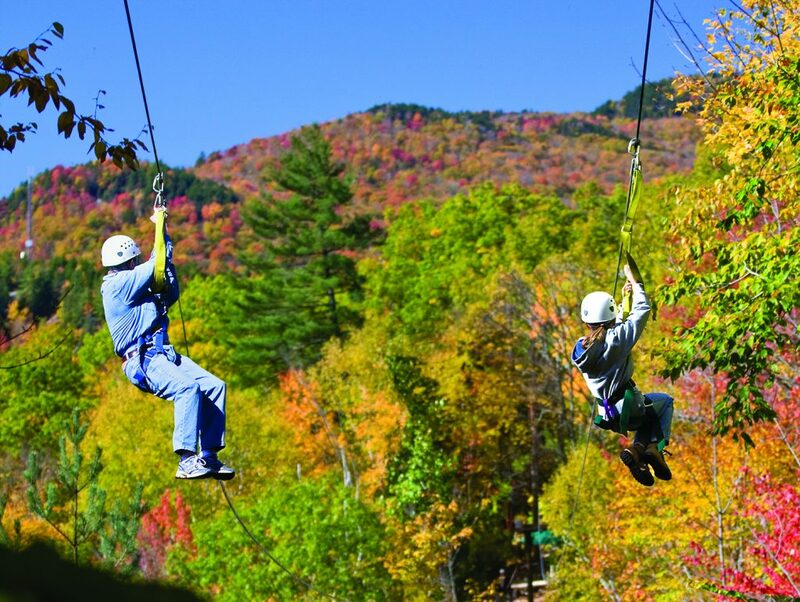 Get more ideas and start planning your New Hampshire adventure! This article is sponsored by New Hampshire Division of Travel and Tourism Development, www.visitnh.gov.